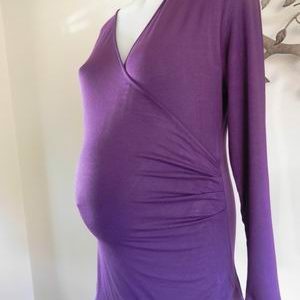 This is a very clever and flattering feeding top featuring some front draping that allows discreet breastfeeding. The top is a soft stretchy viscose blend and is by Ninth Moon. The top is sleeveless. 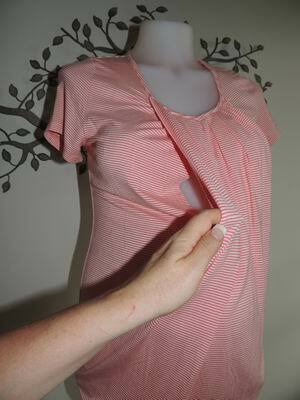 You just pull aside the draping to feed your baby, making this top perfect for during and after pregnancy. They are sized xs which would suit 8 – 10. Be the first to review “NEW Coral and White Stripe Feeding Maternity Top” Click here to cancel reply.